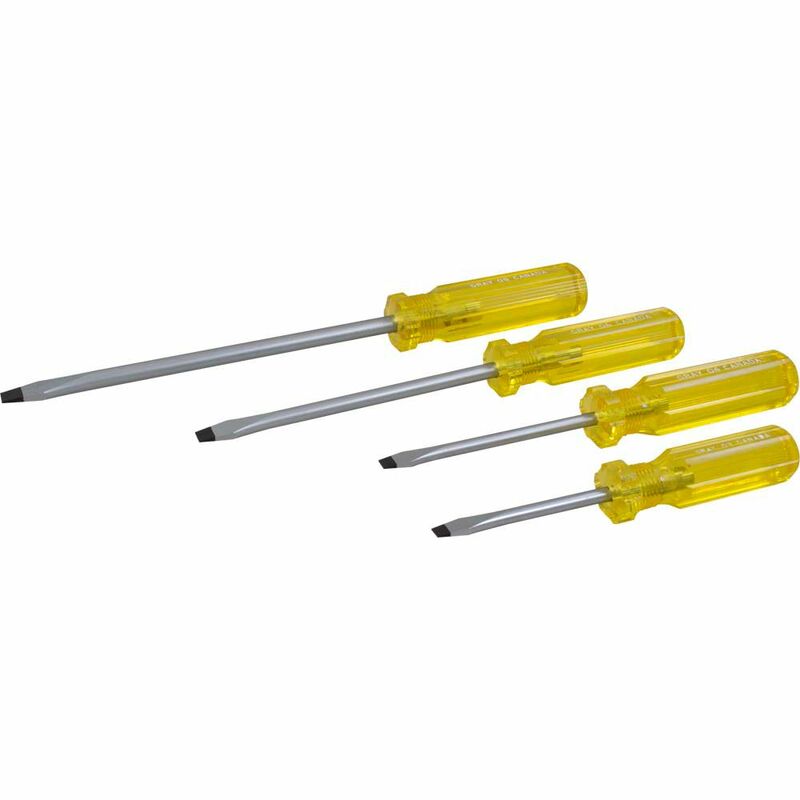 The slotted screwdrivers in this 4 piece set feature a precision-machined tip for an exact fit. High visibility, oil and solvent resistant acetate handle provides a secure grip. Made in Canada and backed by Gray Tools worry-free lifetime warranty. Contains: Slotted .035 X 1/4" Tip (3" Blade Length), .035 X 1/4" Tip (4" Blade Length), .042 X 5/16" Tip (6" Blade Length) and .05 X 3/8" Tip. (8" Blade Length). The screwdrivers in this 16-piece set are perfect for small projects that require precision and up-close, delicate work. Each tool is handy for fastening screws on electronics gadgets and trinkets in addition to other tasks involving small objects. The screwdrivers in this 6-piece set are perfect for small projects that require precision and up-close, delicate work. Each tool is handy for fastening screws on electronics gadgets and trinkets in addition to other tasks involving small objects. This tool enables precision cordless engraving anywhere by anyone. Users can protect all types of valuables with identifying markings and even perform delicate personalization of items. The engravers powerful 20,000 RPM motor is powered by just two AAA batteries and the diamond tipped bit enables engraving in glass, metal, ceramic and plastic. An aluminum body offers superior durability and the one of a kind tri-lobe ergonomic grip provides the ultimate in comfort and ease for use. 4 Piece Slotted Screwdriver Set The slotted screwdrivers in this 4 piece set feature a precision-machined tip for an exact fit. High visibility, oil and solvent resistant acetate handle provides a secure grip. Made in Canada and backed by Gray Tools worry-free lifetime warranty.